Point Multipliers are back! Play your favorite Las Vegas Slots at Rampart Casino and multiply your points. 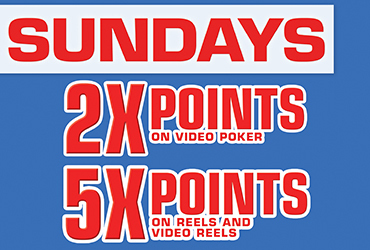 Every Sunday in October, Rampart Rewards players will earn 5X points on Reels and Video Reels and 2X points on Video Poker.